“The title Joy Forever refers to the false promise of a common happiness, constantly played out by the proponents of the creative class and creative economy – the very promise that since Romanticism has been ascribed to art itself, a vow which remains unfulfilled. 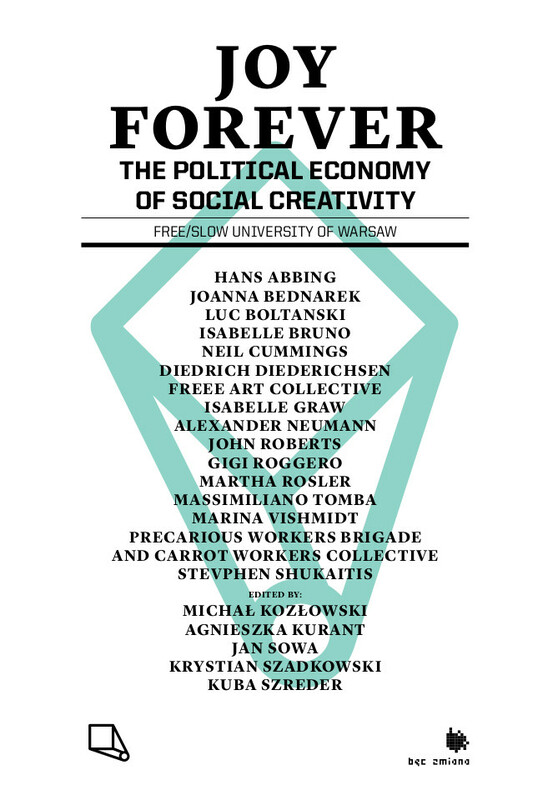 The aim of the publication is to scrutinize the false promises of distributed creativity as an ideology of cognitive capitalism. The authors devote themselves to critical examination of the structural links between art, creativity, labour and the creation of value under contemporary relations of production. Some of them do not stop at a critical diagnosis but go further, reflecting upon potential alternatives to the status quo.